Did you know Microsoft Office had a black theme? This theme its easier on your eyes and it makes the buttons stand out more. 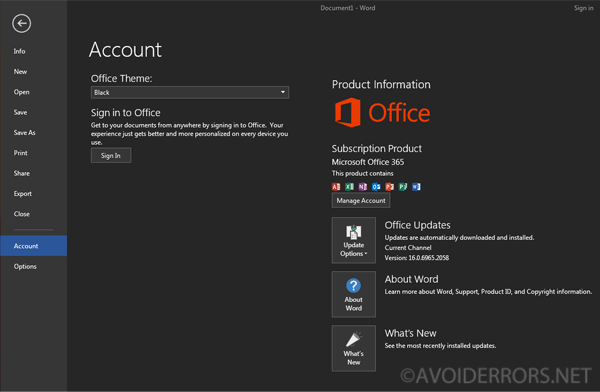 The black-theme is only available for Office 2016 and Office 365. 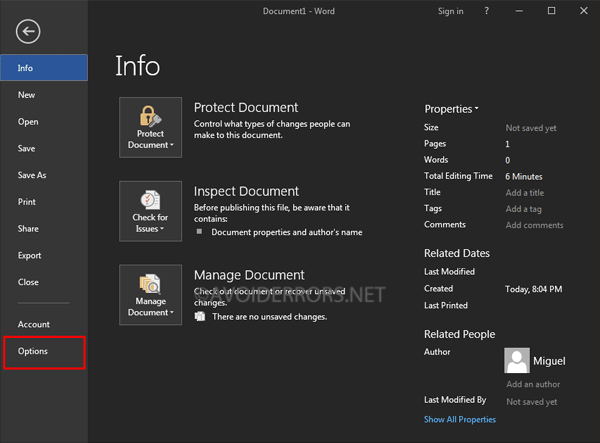 The steps below is to apply the black-theme to Word, Excel, PowerPoint, OneNote, and Outlook. 1. Office 2016 and Office 365. Open any Office program. 2. Navigate to “File” in the top left corner of the window. 4. Select “Account” from the left pane. On the right, below “Office Theme” change it to Black. 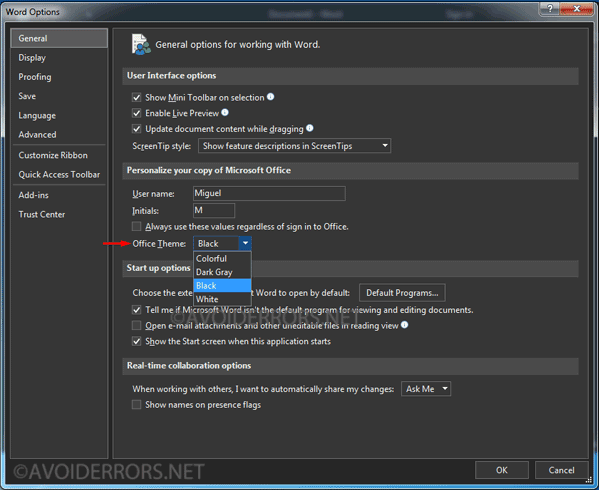 Immediately, all Office apps will turn black using the new theme. 1. Open the Microsoft Office program you want to change. 2. Click on “File” on the top left corner of the window. 3. Select “Options” from the left. 4. 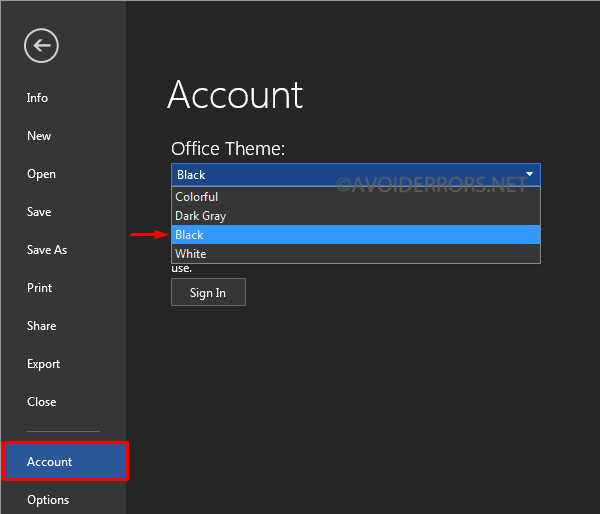 Select “Black” from the Office themes drop-down menu, and click OK to save.